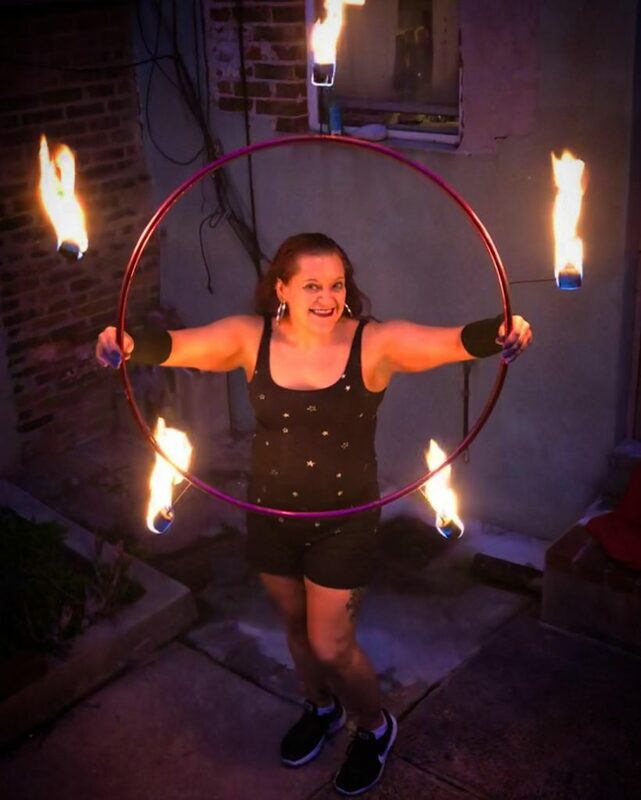 From hoop dancing performances to fire breathing classes, Marianna Hunter keeps busy with all sorts of exciting hobbies when she’s not working in the finance department at her investment firm or teaching Zumba at Philly Dance Fitness. Read on to learn how Marianna used dance to gain self-confidence and discovered a love for performing! 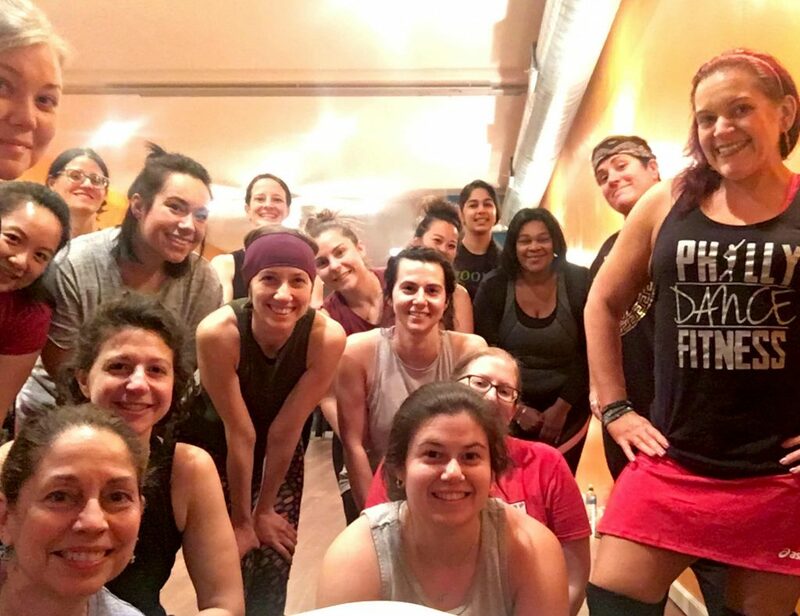 Philly Dance Fitness: How did you get into teaching dance fitness? Marianna: One day I was at a gym just using the treadmill when I saw a Zumba® class going on. People of all ages and sizes were dancing and looked like they were having a lot of fun, so I tried it and loved it. I took classes for a few years and then decided to become licensed to teach. I also completed training to teach House Party Fitness, a cardio hip-hop program. 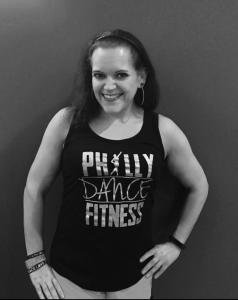 At Philly Dance Fitness, I mostly lead Zumba classes, but I’ve also taught Cardio Pop, Dance Party Boot Camp, Bollywood and Hip-Hop Cardio over my two years here. Has being an instructor changed you in any way? I love the excitement of creating new choreography and when students tell me they love my class and then keep coming back each week. Becoming an instructor has definitely made me more outgoing. It has also helped me lose weight and keep up a healthy lifestyle. Do you have any advice for students new to dancing? I love when people tell me it’s their first time taking dance class! I found my passion for dancing later in life and I believe that it’s really important as we get older to keep moving; especially if we’re sitting at a desk for eight hours a day. It’s never too late to start. If people tell me they are uncoordinated, it’s totally fine. I promise that no one is judging you! My choreography is structured so that movements repeat with certain sections of a song. So even if you don’t get it the first time, once that chorus comes around again, you’ll already know what to do. You’ll be gaining strength, toning your muscles and burning calories while having fun. What do you do when you’re not in the studio teaching? I love learning and trying new things. Right now, I’m taking pole dance classes and learning both Italian and Spanish. I’m also venturing into performing with fire. I am so excited to learn how to actually breathe fire in a few weeks! And I’m active in the local hoop dance community. Tell us more about hooping — what’s that all about, and how did you get involved in it? Hooping, or hoop dance, combines technical moves and tricks with a hula hoop with freestyle dancing. It can also be used in fitness classes to strengthen your core, tone your arms and legs, and help improve coordination. A friend of mine taught a hoop fitness class at a gym that I attended, so I tried it out and fell in love with it. I joined the Philadelphia Spin Coalition (SPINCO), which gives children and adults of all ages, backgrounds and skill levels, the chance to learn and perform. In addition to hooping, SPINCO hosts a variety of local and international instructors who teach workshops in other movement arts such as juggling, poi and staff spinning. I now have around 20 hula hoops of all different sizes and colors at my house! Going back to fire breathing, how did you segue into that? While attending festivals and events related to hooping, I saw my friends perform with fire and I just knew I had to learn it. I started off with palm torches, then moved up to fire hoop. Next came fire eating, which is as described — putting a flaming object into the mouth and extinguishing it. In a few weeks I will attend a fire breathing class to learn how to make a plume or stream of fire by blowing a precise mist of fuel over an open flame. You’ve also assisted at most of our “Take It Off Broadway” burlesque variety shows. Did your experience in burlesque inspire you to get involved in dance fitness or vice versa? Join Marianna for Zumba® on Thursdays at 6 p.m. at our Rittenhouse studio. Or catch her this Saturday, April 6 in South Philly as she teams up with two other instructors to lead our Epic EDM Master DJ Dance Party! Interview by Lily Barnaby, Social Media and Marketing Intern. Edited for brevity and clarity.